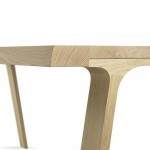 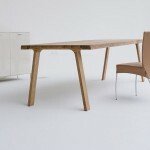 Doble is a table whose wooden top is held up by two graceful solid wooden support structures in parallel. 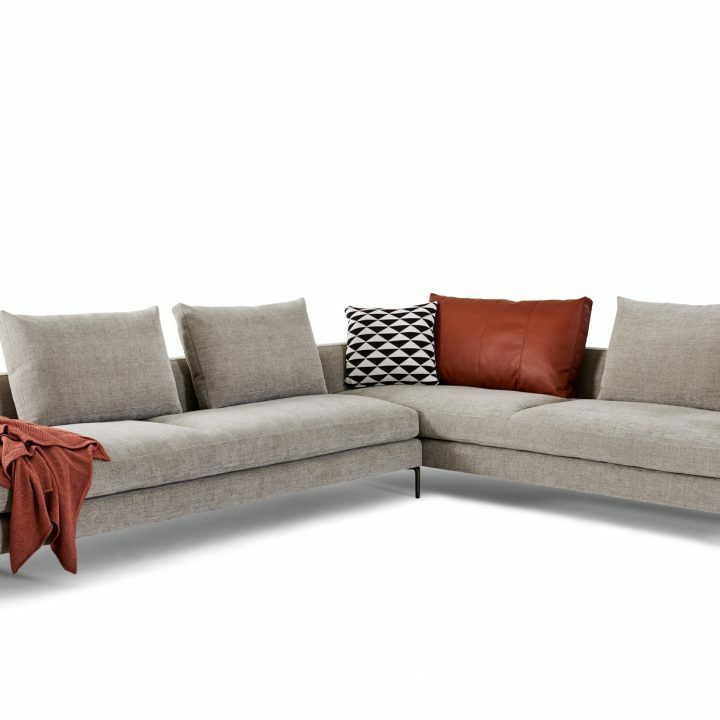 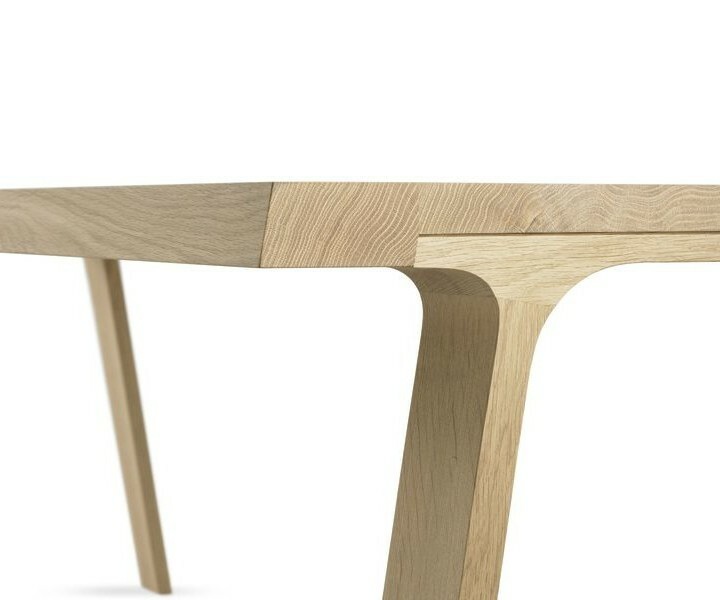 The straight top has openings on either side for two decorative braces. 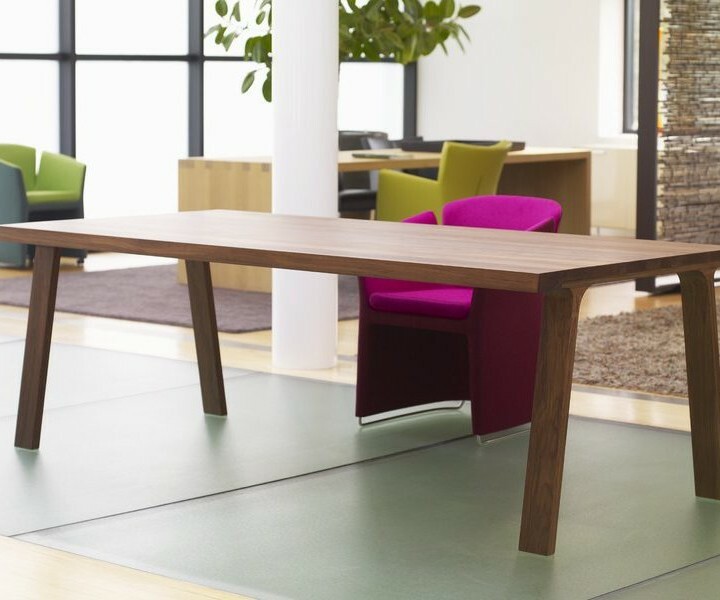 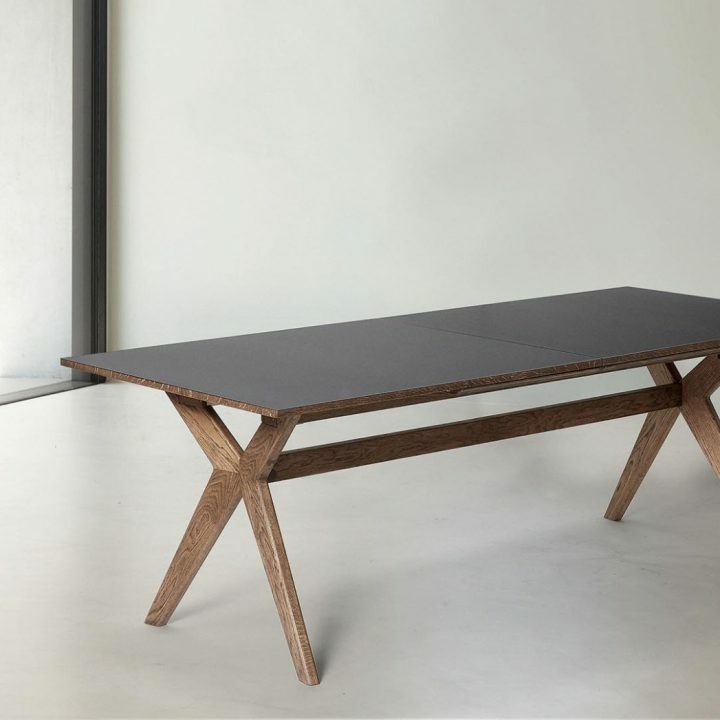 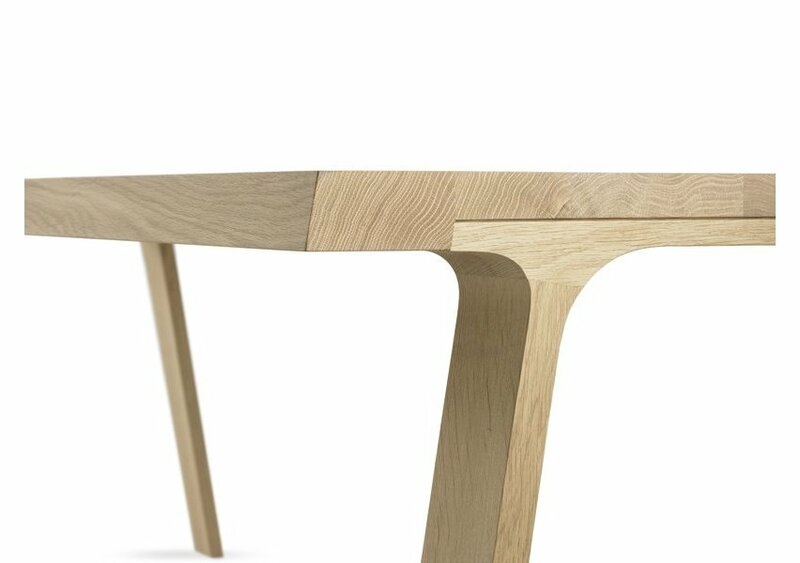 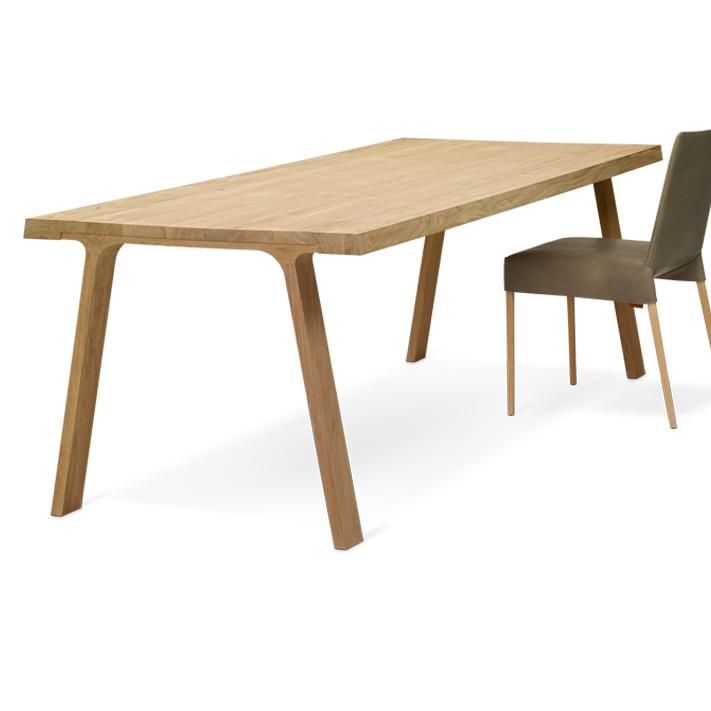 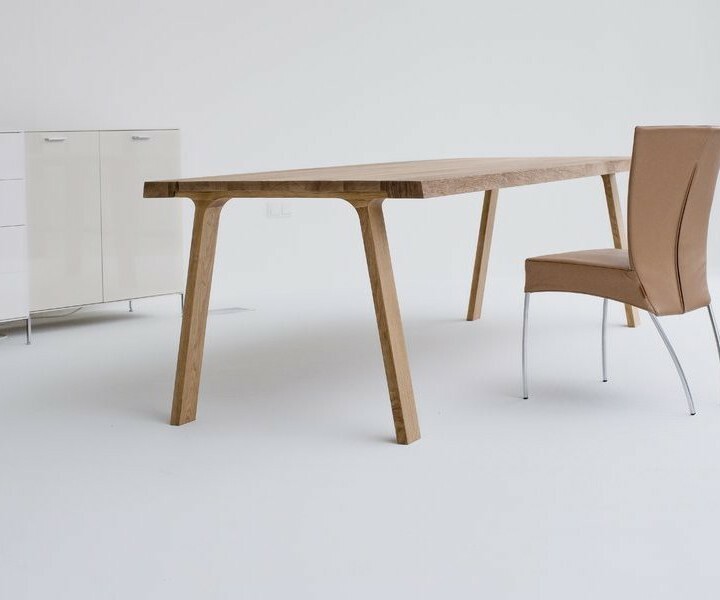 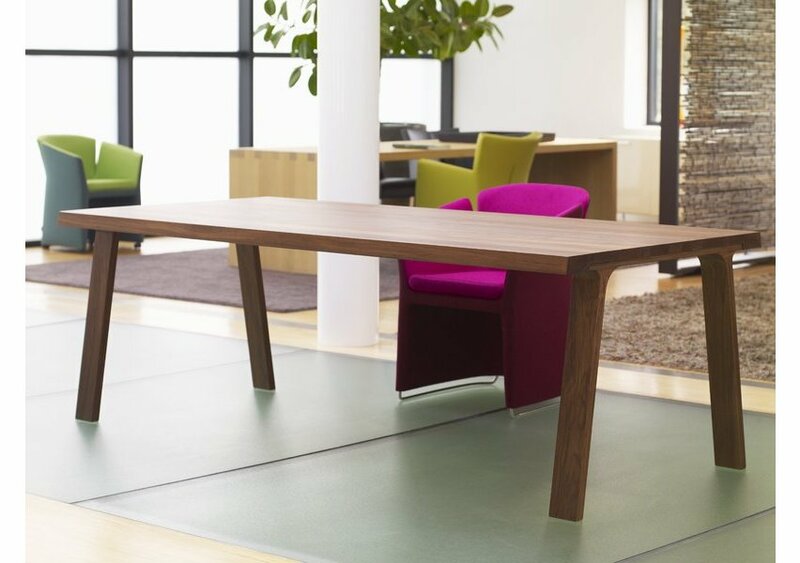 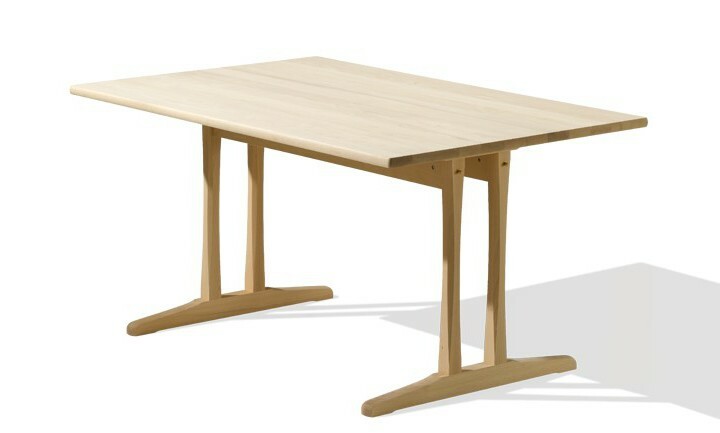 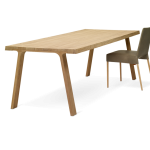 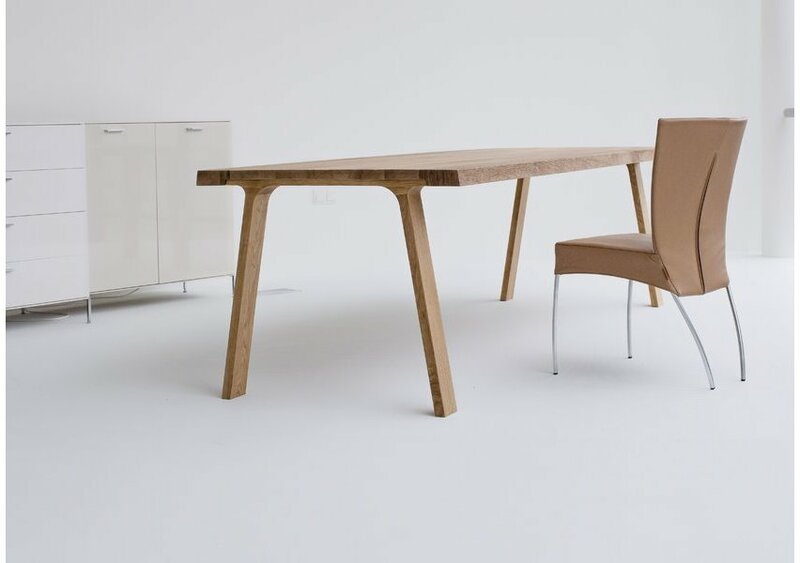 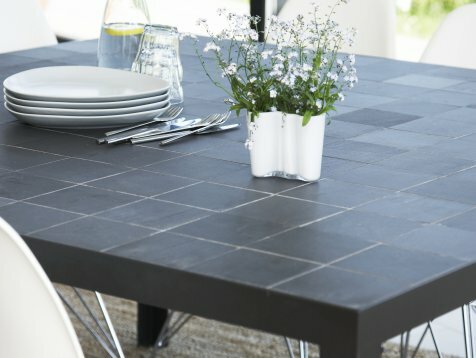 The Doble table is available in solid oak, ash and in walnut.